In the course of its history, Tram Museum Zürich has redesigned its website several times. The current version is here: www.tram-museum.ch. Professionally implemented, it presents the visitor with all the basic information, but it hardly presents scope for hours of browsing, nor is it a magnet to which many web visitors will return with regularity. Its fondly remembered past incarnation, which was maybe less professional in its design, but presented far more detailed information, was a true treasure trove for the tram enthusiast. Besides presenting the museum collection, tram history and numerous connected topics, it included rare pictures and articles from out-of-print publications. 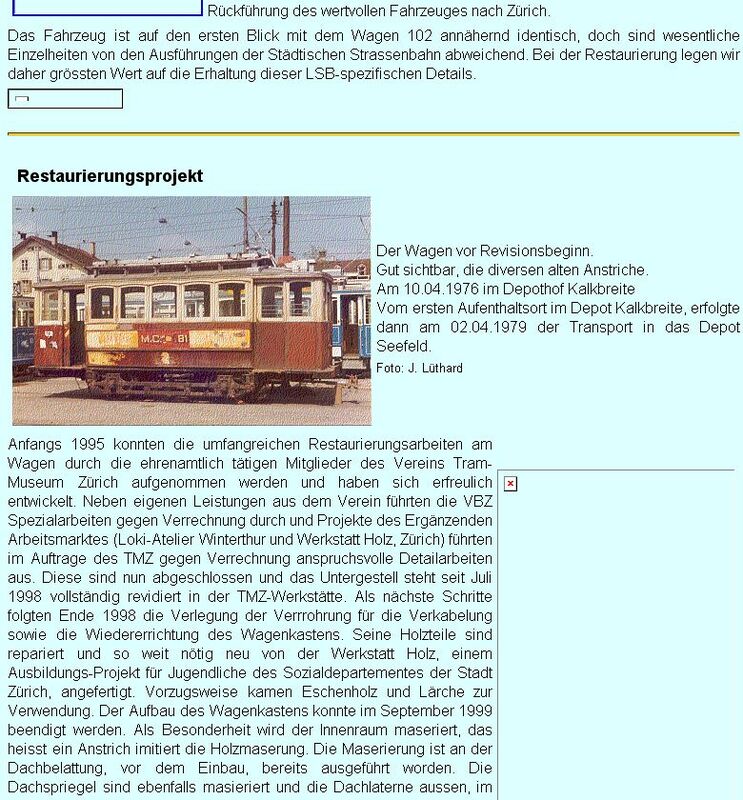 Fortunately, when the new professional website came online, the old website was saved and made available again under www.tram-museum-archiv.ch. It seems that this webiste too is no longer accessible. Maybe the only way now to read these articles is to use the Wayback Machine (for example the version of 5th February 2003). Just as old trams and tramway artefacts and documents deserve to be saved, so should valuable websites be preserved.